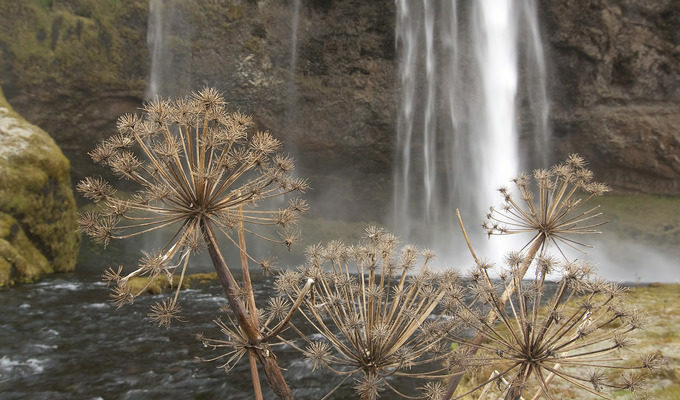 Seljalandsfoss, one of the higher waterfalls in Iceland, though it has little water. A path at the bottom of the cliff makes it possible to walk behind the fall. The waterfall and its surroundings are floodlit at night.